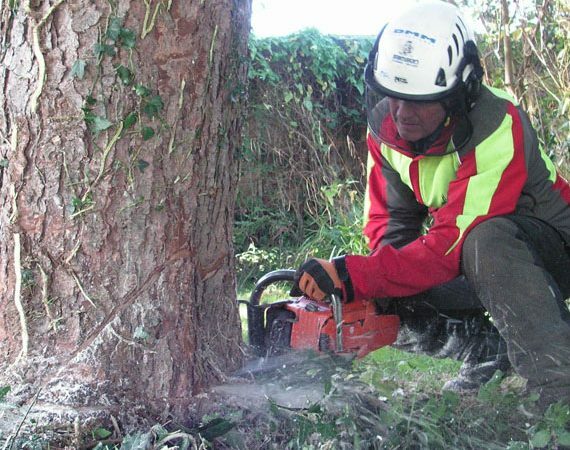 This course is for professional users who have a need to fell trees over 380mm in diameter and who have already completed NPTC CS30 and CS31. Identify the Risk Assessment and Emergency procedures on a work site. Select equipment required for safe and effective felling. Fell medium sized trees safely and accurately using an appropriate method Sned and / or de-limb medium sized trees. Crosscut stems over guide bar length in diameter to a given specification. Select winching equipment suitable for takedown of a medium sized tree. Take down a hung-up medium sized tree with a winch. This training is in preparation for NPTC Integrated training and assessment (CS32). Assessment takes place on the final day of training.